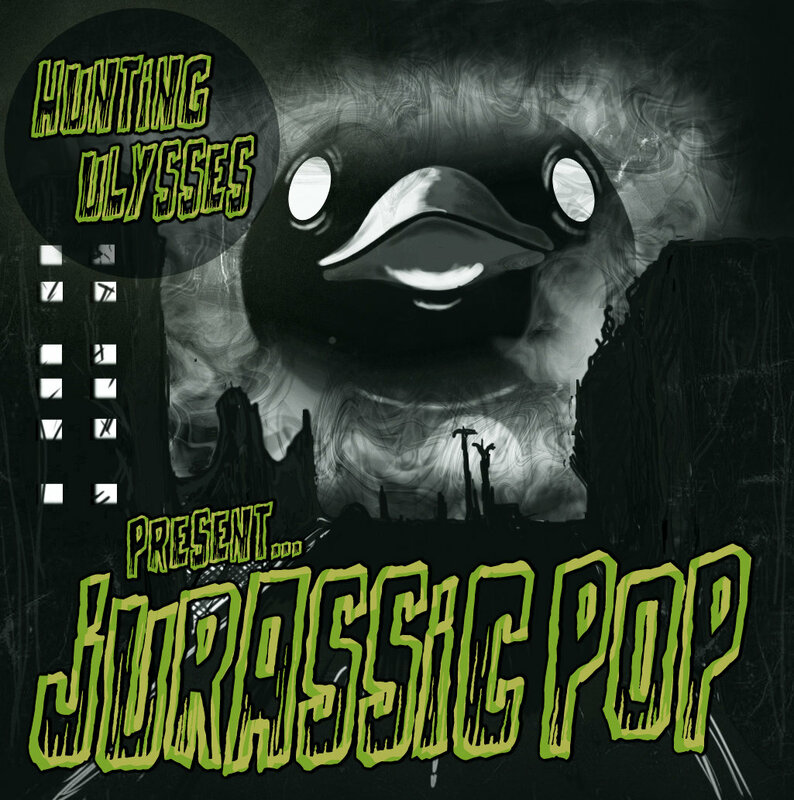 Alternative rock outfit Hunting Ulysses present their latest EP release ‘Jurassic Pop’, featuring roaring upbeat alternative rock/punk songs. Featuring 6 tracks, spread out over roughly 20 minutes, the EP release showcases everything the band is willing and ready to offer the music scene. Hunting Ulysses seem to channel many of the typical elements of the alternative rock/punk style, and present it in what seems to be a somewhat lighthearted yet fun and exciting way. There’s certainly something to be enjoyed here, which is simply fun and exciting, though there is perhaps elements that don’t seem to work as well as they should do. ‘Jurassic Pop’ is every bit as fun as the name itself suggests, with Hunting Ulysses simply launching straight into the heart of the fun-filled and raucous alternative rock style. To some extent, it is almost American sounding, which is perhaps a wide generalization to make in regards to their music, though it is simply how it makes me feel. It feels as though Hunting Ulysses music wouldn’t sound out of place if it was included on a Tony Hawks Pro Skater soundtrack. It’s pumped up, fun and features many of the best elements from the styles it incorporates. Hunting Ulysses certainly have a lot going for them, and ‘Jurassic Pop’ is a rather good EP that does manage to showcase their style in a great way. I find perhaps though that whilst ‘Jurassic Pop’ is fun and enjoyable, it seems just that tiny bit immature in terms of the style and sounds that are being produced. There is certainly enough to garner the band fans, though i’d assume they’d be more of a hit with younger audiences. There’s is nothing wrong with this, though it is arguable that the appeal of the band is limited by the style and genre they have chosen to incorporate into their music. It is also arguable that the tracks on the EP itself become a little bit repetitive after a while, which on an EP record is perhaps forgivable. If this was a full-album release though, there’d need to be more diversity amongst the tracks to make it a truly appealing record. All in all, Hunting Ulysses have certainly managed to produce a rather good EP. There’s enough material on ‘Jurassic Pop’ to give a nice understanding of the direction the band are taking, though there are perhaps a few problems that will hopefully get ironed out as the band progresses. There’s certainly some nice elements at work here, and ‘Jurassic Pop’ is certainly a fun and enjoyable record. It would be nice to see the band try new things as they progress, though that isn’t to say that what they are doing now isn’t working. On the contrary, the band have certainly got off to a great start, producing a great introductory EP.